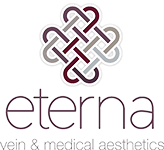 Eterna is proud to partner with the Aspire Galderma Rewards program to offer you valuable savings on Dysport, the Restylane family of products, and Sculptra Aesthetic. It’s free to join and you’ll receive an instant $20 treatment certificate when you sign up. Earn points by using Galderma aesthetic products, as well as other unique opportunities offered by Galderma. Redeem your points for treatment certificates when you visit one of our amazing nurse injectors.